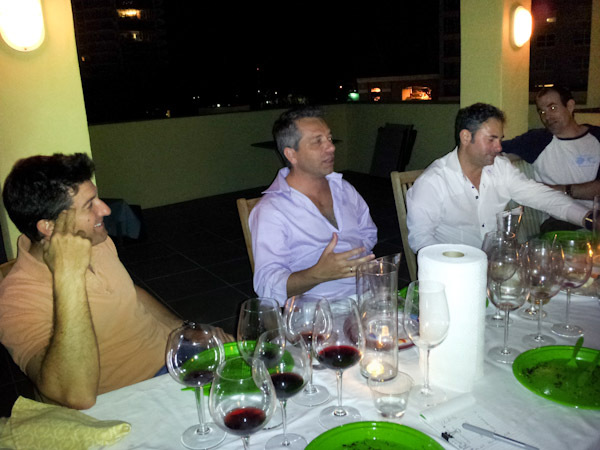 Rooftop setting and clear Miami Beach sky was the perfect backdrop for our April blind tasting. 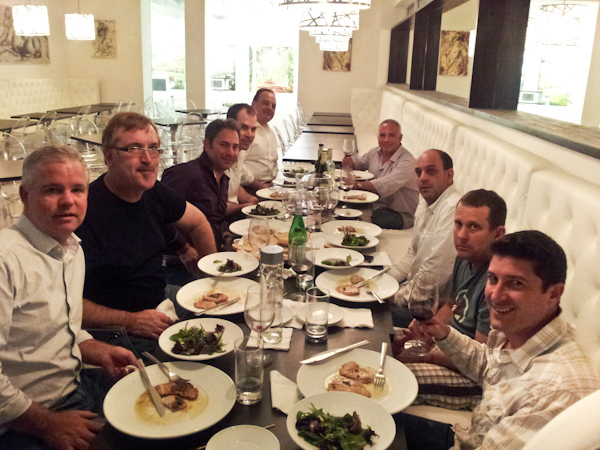 Many thanks to Matt Jewel and Andrew Cohen for hosting, cooking and providing a perfect location in the heart of South Beach. We all enjoyed meeting our newest guest Stephano and many thanks to him as he brought several wines for pre- and post-tasting including the well liked, 2010 Poggio Aignepri Rose as well as his knowledge of Italian wines. 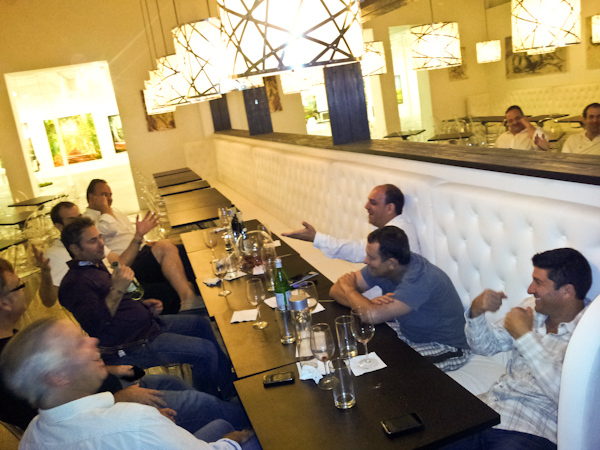 We missed Leo, Saad and Brian as we conclude our three blind tasting focusing primarily on Italian wines with one Riesling tasting in the mix. 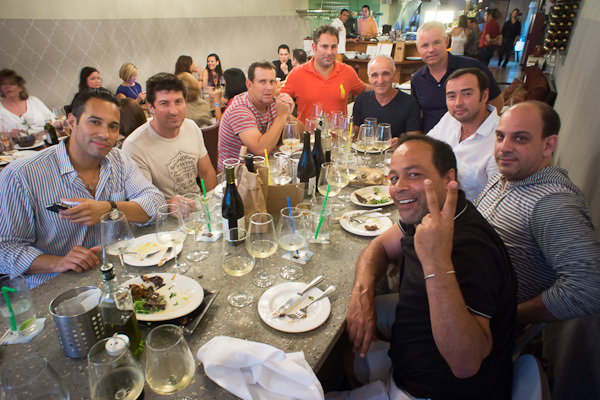 An enjoyable tasting with a collective nod to the wines as everyone seem to enjoy their drinkability. 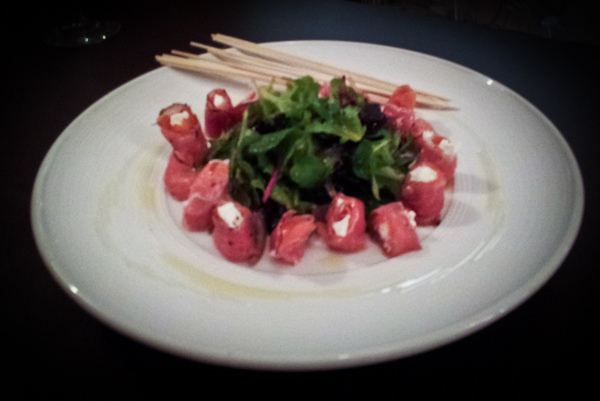 Harder to separate taste as most selections were similar in body and tannis. It also should be noted that one red was not of actual D’ Abruzzo origin- as we were specific to the grape varietal and not to the famous Tuscan town. 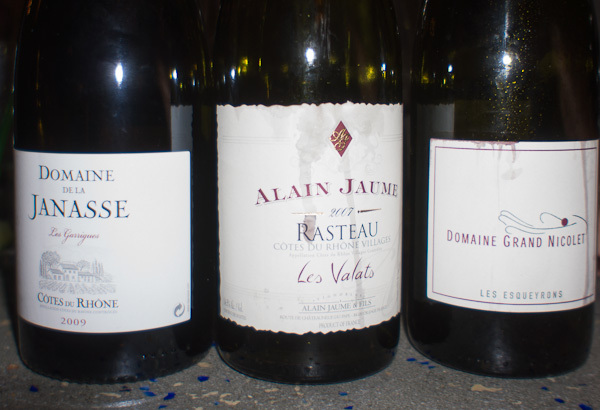 However, all wines seems to work well with our nice selection of cheeses and of course Matt’s grilled steak and vegetables were a perfect menu for these nice table wines. 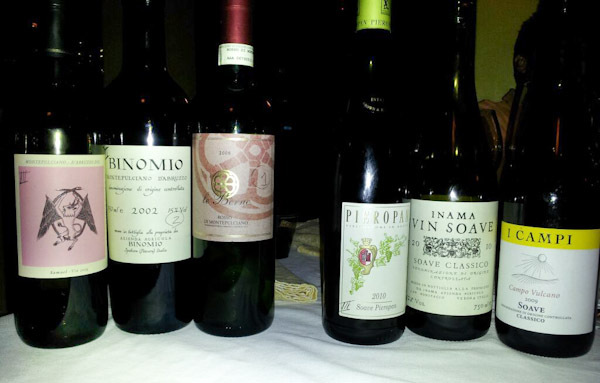 More thanks as we were also able to also enjoy a higher priced red as a comparison wine after our blind tasting, 2003 Emido Peo Tolanu Nuvo worthy and well liked. 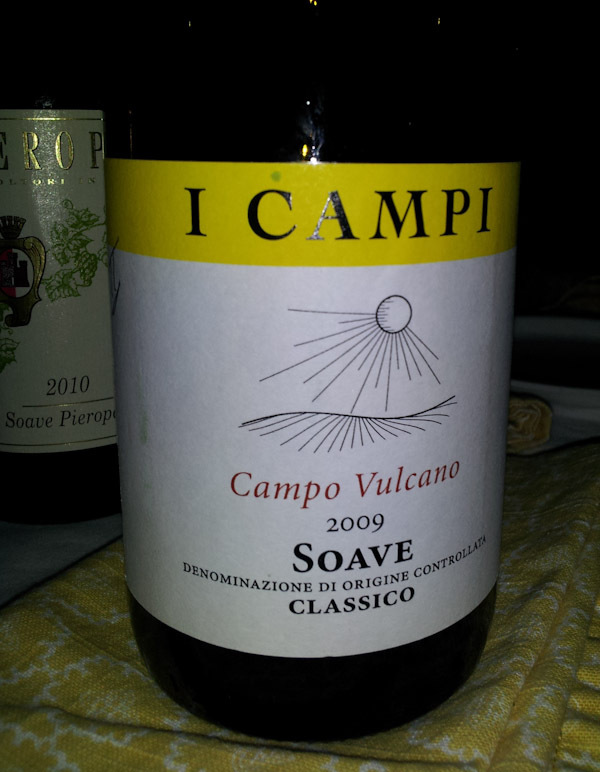 The winning white was a classic Soave wine #2 with a overall score of 6.14 and ranked a even 5 by our guest Stephano, provided by Mosheim/Mahmoud/Issa/Smith a nice wine I Campi, Campo Volcano 2009. Second place goes to the Soave Pieropan 2010,with an overall score of 5.88 and our guest enjoying with a 7 score. Rounding out and off by a few tenths is the Inama , Vin Soave, Soave Classica 2010 at 5.7 and scored a steady 6 by our guest. The winning red was wine #2, provided by Cohen/Jewell from an enjoyable group with a overall score of 7.87 and was very fruit forward, well balanced and enjoyable for it’s 2002 vintage and scored 7 by our guest. Second place was awarded was the dry and smooth 2008 Le Berne Rosso Di Montapulciano (Not a D’Abruzzo varietal) and scored with a 5.71 and Stephano’s lowest score at a 4. 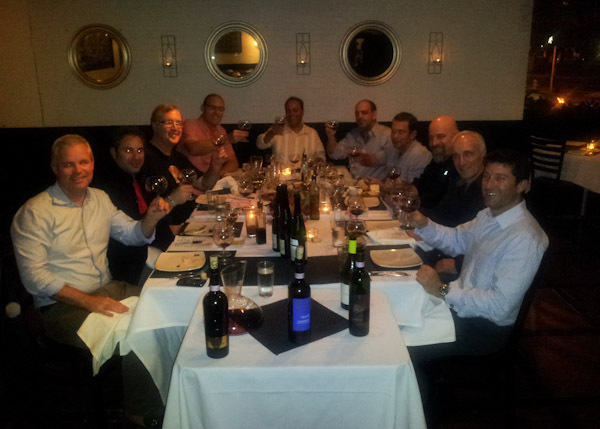 The 2009 Montepluciano D’Abruzzo “Samael” close behind at 5.42 and was scored another 6 by our guest. Close scores again keep the second and third wines together and voting was reduced and exaggerated by having only 7 members and one guest. Now we move on as we get ready for a beer party for our May event as we prepare to return to tastings and verticals for the summer months. 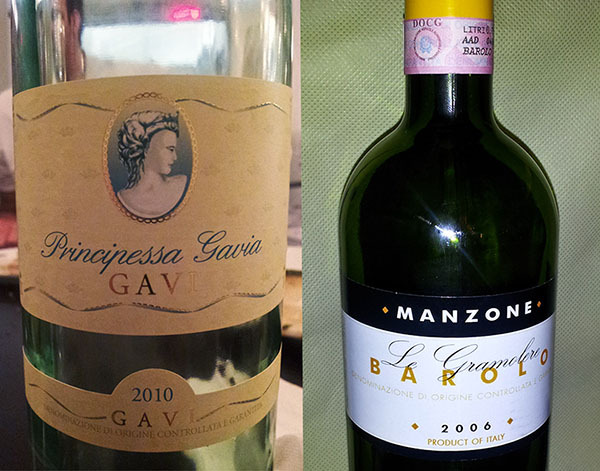 Given the recent tasting mishap for these wines, I have provided some insight into the origin of the grape and clarification on both Montipulicano the wine town and the grape grown in a different region of Italy- Montipulician D’ Abruzzio. Let’s get ready for our “Red Solo Cup” party and in the meantime lets add comments on the next format and then decide on the next format. 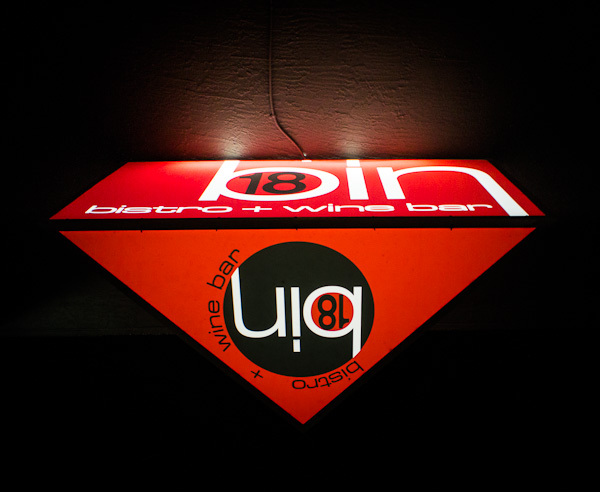 We enjoyed the evening and nice to return to the blind tasting format. 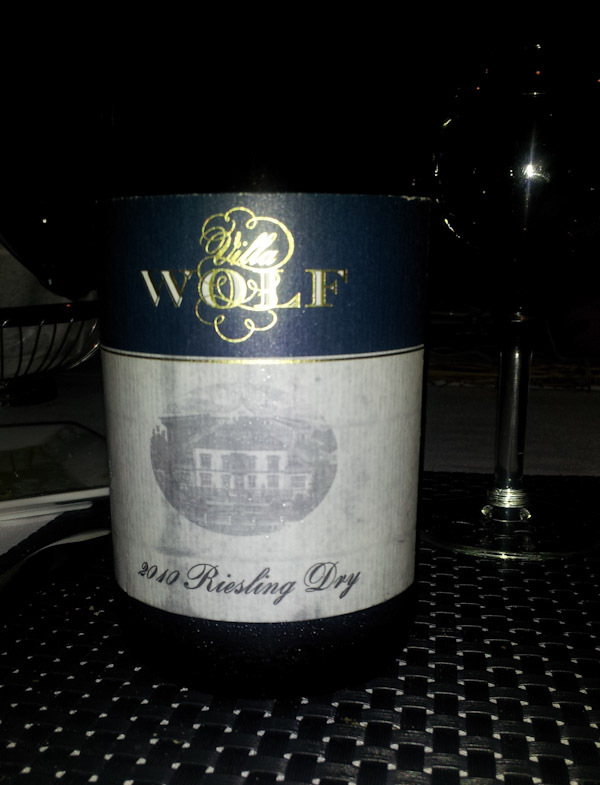 Winning wines were the dry and delicate Riesling from Villa Wolf 2010 Riesling Dry Pfalz $15 from Mosheim/Mahmoud/Issa/Smith with a subtle 11.5 alcohol content. 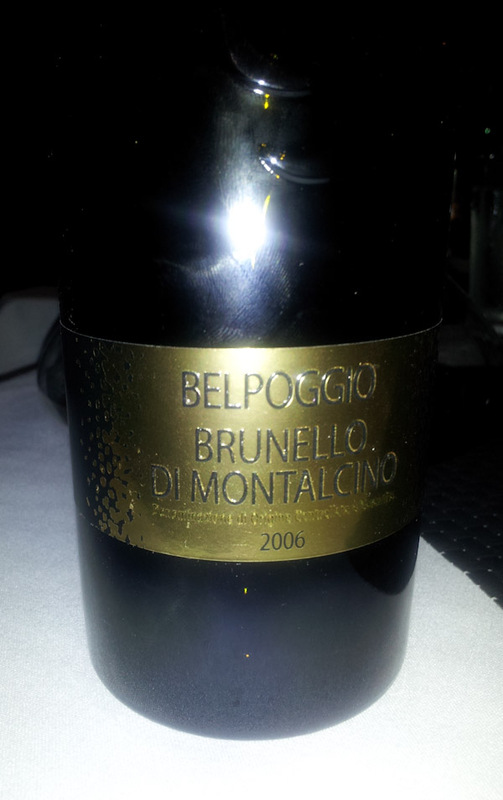 Along with the full bodied, well balanced 2006 Belpoggio Brunello Di Montalcino $39.99 Hege/Tenen/Gamson picked from a nice selection of Brunellos with good years ’04, ’05 and ’06. 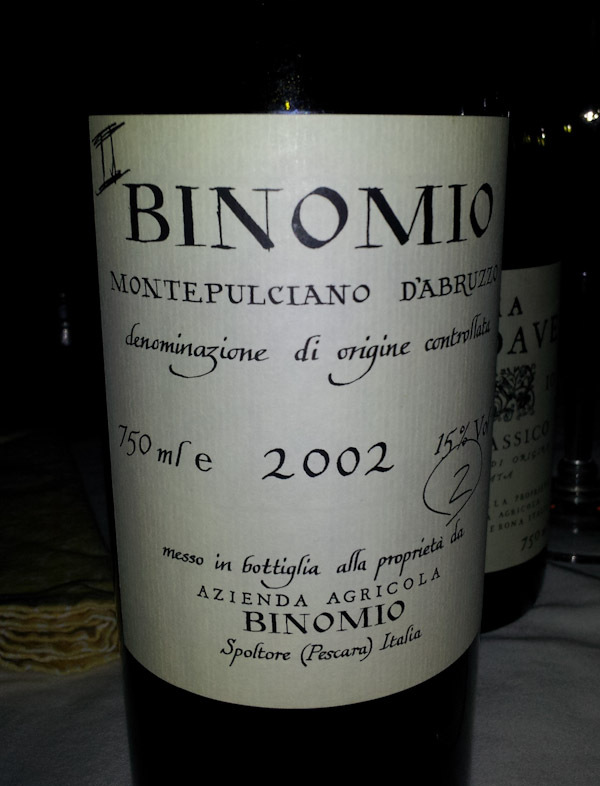 Well done for us to blindly go into a vertical tasting of this varietal.